Maby in Empyera we have to do help someone in a talent show??? 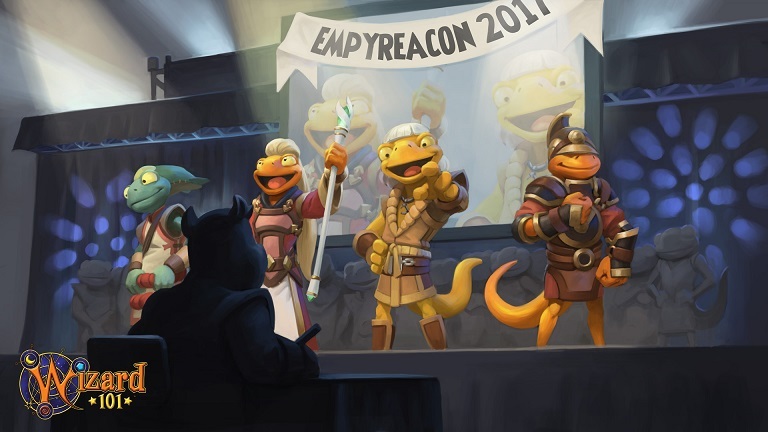 The Banner says "Empyreacon 2017"
Teenage Mutant Ninja Manders on Empyrea Idol! I have no idea what’s even going on at this point with Empyrea, but whatever. I’m still excited. I know one thing: Empyrea is gonna be on Test Realm very soon! Excitement! Is this a hint of Empyrea Part II?